PostcardMania sends millions of postcards per month. The company helps 70,000 small businesses use postcards to gain new clients. 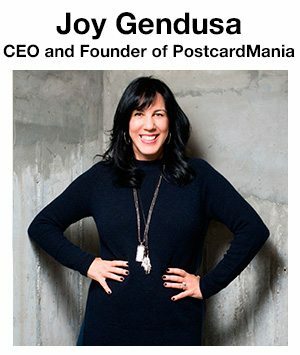 Fit Small Business had a chance to interview Joy Gendusa, the CEO and founder of PostcardMania. Joy started out her career as a graphic designer, which was her inspiration to start PostcardMania in 1998. Without taking a penny of venture capital, Joy has managed to bootstrap her company to a business with $22 million in annual sales. The following Q & A about direct mail postcards is based on my notes of the interview and do not reflect her exact words. What types of offers work best for postcards? The effectiveness of offers really depends on the industry. Let’s use dentists and realtors as examples. What works well for a dentist is not going to work well for a realtor. Besides the fact that it would be just weird to see a realtor offering a FREE dental exam (no thanks! ), the level of competition isn’t the same for these industries. Dentists tend to send out lots of direct mail. (We know, we’ve worked with over 4,500 of them!) If you’re a dentist, you should assume potential patients are receiving mail from multiple dental practices. On the other hand, competition is usually lower for realtors competing in the mailboxes of potential buyers and sellers. Popular offers for dentists include: Free whitening, free consultation or second opinion, discount on first procedure, free exam, and free x-rays. 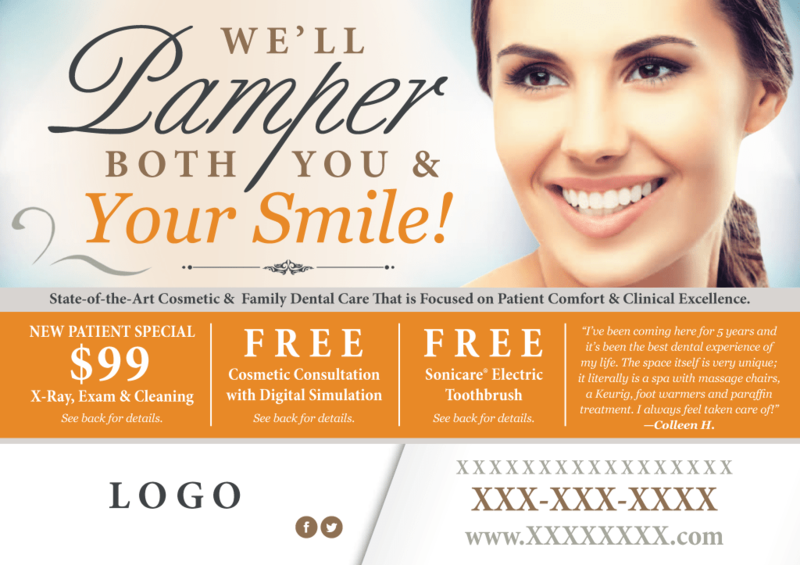 Effective dental marketing postcards have compelling discounts and coupons (our data suggests 2 to 3 offers per card works best). If you get a postcard from two different dentists and one has a great money-saving offer and the other just offers you a toothbrush (an offer than our results department suggests doesn’t work as well), the stronger offer will definitely motivate more people to pick up the phone. 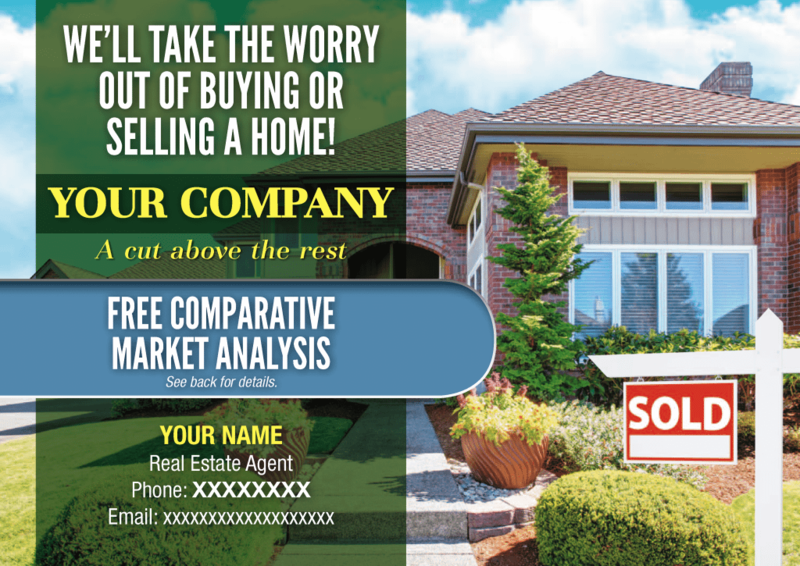 Realtors sending out direct mail postcards tend to have more success by offering valuable information. 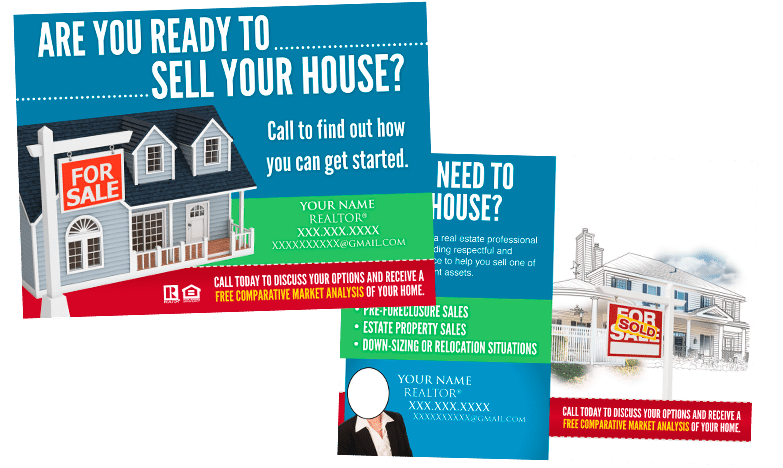 Successful postcard offers for real estate agents include: Examples of recently listed or sold properties, a free report on a home’s value, or detailed info on local market conditions. Does the relative competitiveness of the market impact what type of postcard is being sent? You bet! The more competitive the market, the bigger the postcard should be if small business owners want it to stand out and not get lost in the mailbox. When a prospect goes through the mail, the largest pieces tend to stand out and get the first look. The bigger your direct mail piece, the more attention it will get versus similar offers that are on smaller-sized postcards. Like I said, realtors usually aren’t competing for mailbox space with one another, so they can still get attention with a smaller postcard, 4 ¼ x 6 inches. Dentists on the other hand face more mailbox competition from competitors and should definitely consider sending larger pieces. These days, almost every postcard includes full color printing on the front and back too so keep that in mind. Should a company use color on both sides of their postcards? Yes — I strongly encourage all business owners to print your postcards with full color on the front and back. It’s an industry standard these days and looking like the only business that skimped on printing isn’t a good way to stand out, trust me! The way you use color on the front and back of a postcard should be different. 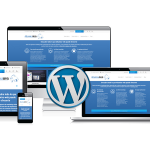 On the front, you should have a colorful image that IMMEDIATELY communicates what your business does and is offering. You only have a split second to get your prospect’s attention, so don’t waste it with a message or image that’s unclear or too clever. You also want to be sure to include a short headline that explains the benefits of your product or service (how does it improve their lives?) or communicates your business’s value proposition/unique selling proposition (USP). The front of the postcard should be all about attracting attention and getting the person to flip to the back of the postcard for more details. The back of the postcard should provide more information about your business, the benefits of your product or service and details about your offer. Your postcard should have a clear and prominent a call to action on each side, such as “call today to claim this offer” or “visit our website to redeem 20% off your first order.” Be sure to include your relevant contact information in close proximity to the call to action, and I am a firm believer in using bright color to make the call to action stand out and really pop. How frequently should businesses send postcards to potential clients? For a starter campaign, we generally recommend sending once per month for three months to the same prospect list. You want to target the same prospect at least 3 times. Our larger senders of postcards often send six cards to the same prospects. Potential customers are bombarded with advertising messages. To get them to remember your brand, you need to send them multiple times. Also, prospects have different buying cycles. Just because they aren’t interested in finding a dentist today, doesn’t mean that they will still be disinterested a month down the road when your second postcard arrives, especially if they have a toothache or cavity that is bothering them. This is why we recommend sending monthly. What does a first time direct mail postcard campaign typically look like? Since, we have been talking about dentists and realtors, I will continue along those lines. I do want to say that PostcardMania serves hundreds of different types of businesses. 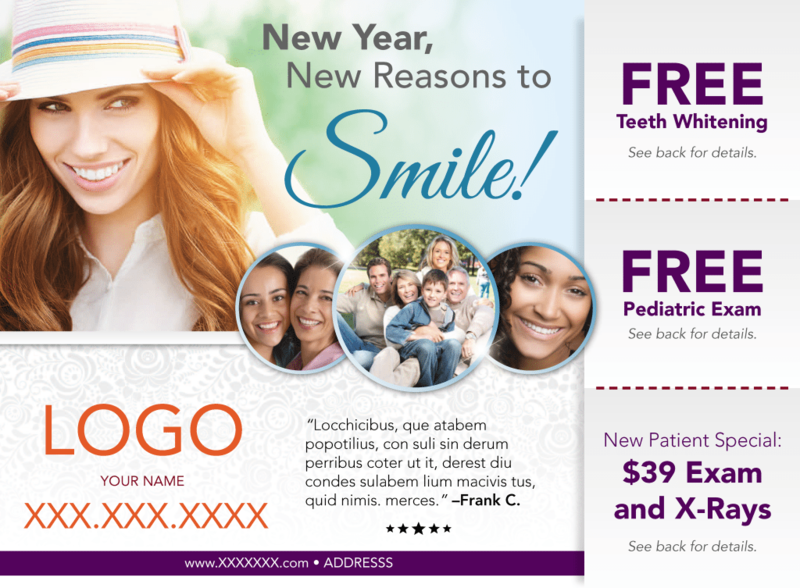 For a dentist, a typical campaign would include sending 18,000 postcards to 6,000 prospects over a 3 month period. They might test out one or two different offers. Generally, postcards are sent out to people within a certain geographical area, ie. within 3-5 miles of the practice within a typical suburban location. However, sometimes they target lists of families with children or people likely to have insurance. For realtors, the list size is generally smaller. 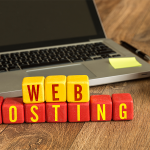 They might send postcards to around 2,000 prospects within a very specific geographical area, which would amount to around 6,000 cards over a 3 month period. How much does it cost to send direct mail postcards? I’m going to be straight with you: there are SO many factors that go into sending a direct mail campaign. You have to get a good mailing list, a good design, print and address your postcards postcards, and then pay for postage. Your cost is going to vary depending on how much time and effort you want to put into this yourself, or if you want a completely turnkey solution. The cost of acquiring the mailing list is going to depend on its size and your level of targeting. The more specific the mailing list, the more expensive it is. For example, a list of families with a household income of $100,000+ with children between the ages of 2 and 5 in your area will be more expensive than a general mailing list. If you’re the type of business that EVERYONE needs (like a dentist), we often recommend a resident/occupant (you might have heard someone in the biz say “res/occ”) list that is distributed by carrier route, which is the cheapest option both for acquiring a list and mailing. It’s a much more affordable option since every mailbox along a specific postal delivery route will receive a postcard. No sorting! Another factor that impacts cost is the size of the postcard. The bigger the postcard, the more expensive it is to print and mail. Tracking can be another expense. We have a great product called DirectMail2.0 that enables small businesses to track the results of their campaigns. To send out 10,000 4 x 6 inch postcards with color on both sides to a targeted list, it will cost around 42 cents per postcard, nearly $4,200 in total WITH postage. The prices drop fairly substantially when sending out by carrier route. The cost will be around 33 cents per post card, or $3,300 for 10,000. To print and deliver 10,000 bigger, 6 x 8 postcards (including postage), the cost would increase to around 40 cents per postcard on a carrier route delivery, and 52 cents per postcard for a targeted delivery list. The more postcards you print at one time, the bigger your savings will be also! For example, our most successful dental clients print 68,000–72,000 at a time and that brings their per-piece cost down significantly. DirectMail2.0 is an exciting, automated and fully turnkey marketing program that integrates tracking, direct mail and follow-up. Small businesses can track and analyze campaign results in order to maximize results. First off, with DirectMail2.0, small businesses can see when their postcards were sent and delivered. This helps you prepare for more calls, foot traffic, etc. Secondly, DirectMail2.0 makes it easy for small business owners to track the calls that come in off of their postcards. Your postcard comes with a unique phone number included that we track for you. On the business owner side, you can see the number of calls generated from the campaign, how long each call was, and you can even listen to calls from your computer to analyze how your team is handling those new leads. In 2014, PostcardMania reached over $22 million in annual revenue, employs more than 200 people, and became a Google partner in 2012 by offering Direct Mail 2.0, a revolutionary direct mail product that combines Google online ads with the lead generating power of postcards. You can request free postcard samples or connect with Joy on Google+!